During our Christmas trip to Florida, we made a stop at Bald Point State Park, and as we hiked up and down the beach, we came across this thing, and that is exactly what we said. We did all the usual scientific testing, you know, nudging it with our toes, poking it, nudging it again, and I think someone even sniffed it. We still had no idea until we spent an hour on Google. The strange blobs all over the beach weren’t aliens, whale organs or any of the other interesting guesses our Facebook friends made. They’re called Tunicates, and they’re invertebrate marine filter feeders, more commonly known as sea squirts, sea pork, sea livers, or sea tulips. 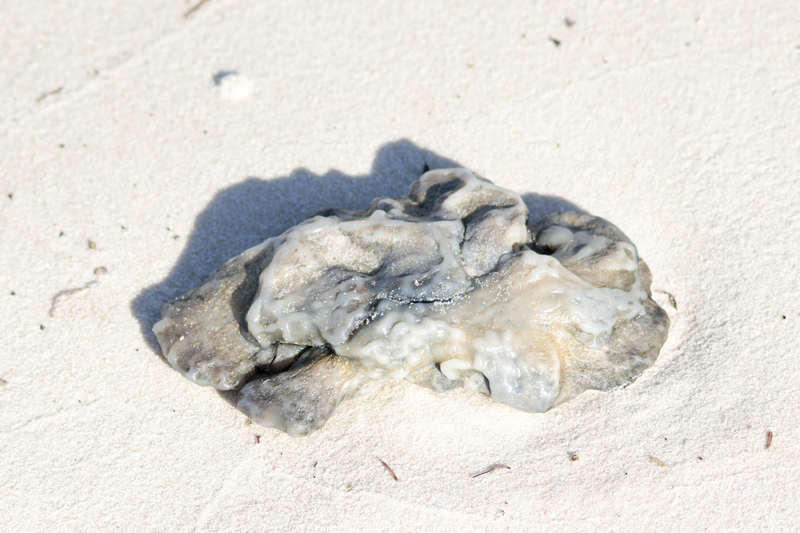 Some tunicates, like the sea pineapple, are even edible. But would you eat this? 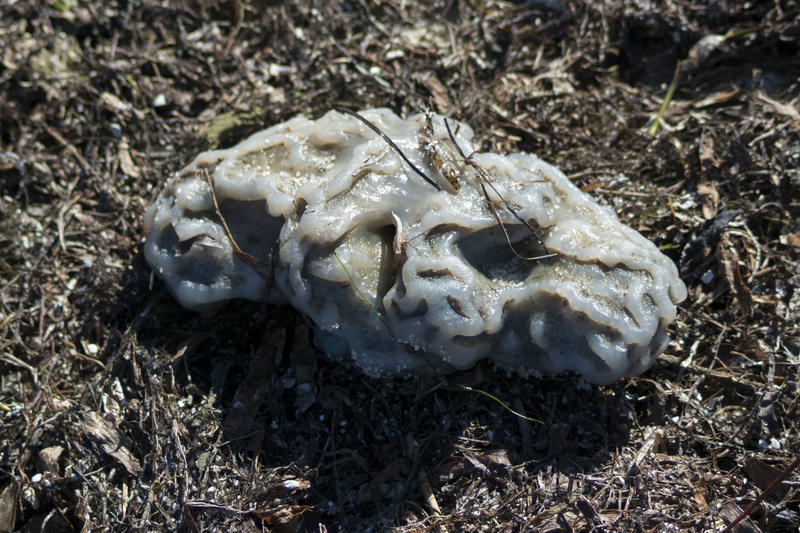 These particular tunicates got the nickname sea pork because after death, the rubbery tunic bleaches to white resembling salt pork or fatback. So next time your friends say, “What the heck is that thing?”, you can tell them. Sea pork is such an appropriate name. Thanks for the read, it was very insightful! Can these sea porks look like firm pale potatoes.? 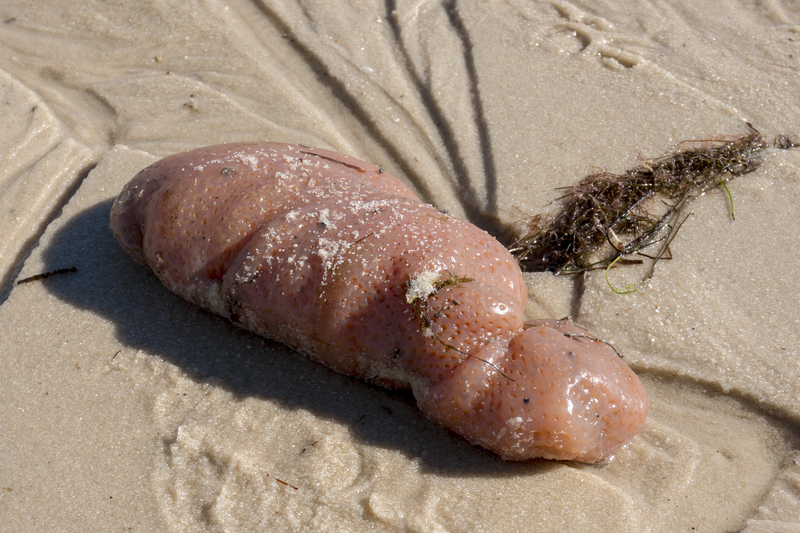 My wife and I encountered many such firm, but soft fist sized things along the shore near Huntington Beach, SC today. A few had what appeared to be siphons only about one inch long, about the diameter of one’s index finger, protruding from one side of the blob. Most, however were ovoid and had many small pores. No apparent mouth area. Firm pressure with a finger resulted in a small indentation. Are these sea pork? Lawrence, I’m not a sea pork expert, but I’m guessing that’s what it was.